Bubble patterns easily adjusted for different effects. 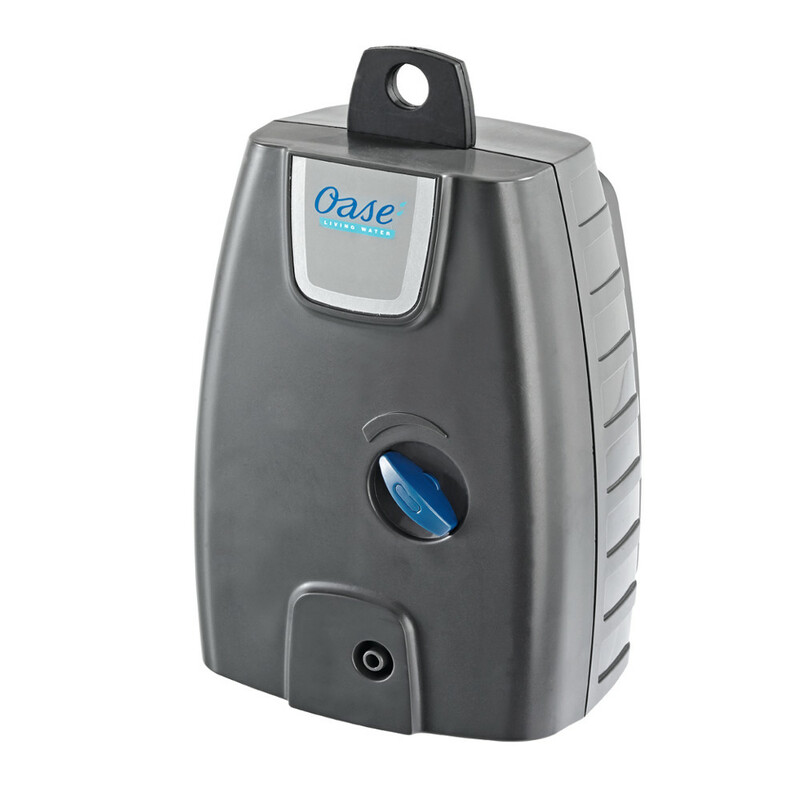 Oase Oxy Max Air pump is a verastile pump for your aquarium. 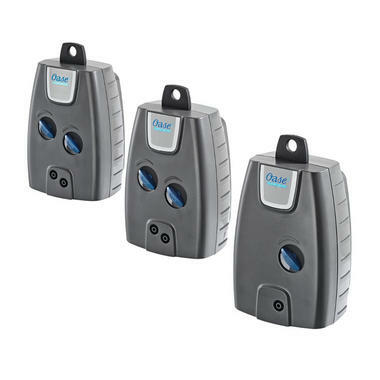 Able to add vital oxygen to your tank, the Oxy Max Air Pumps can be installed quickly and easily. A top located hook makes it easy to hang or alternatively it can be placed in its sturdy base to be installed free standing. Adding oxygen to tank water is essential to provide overall health benefits to the fish. 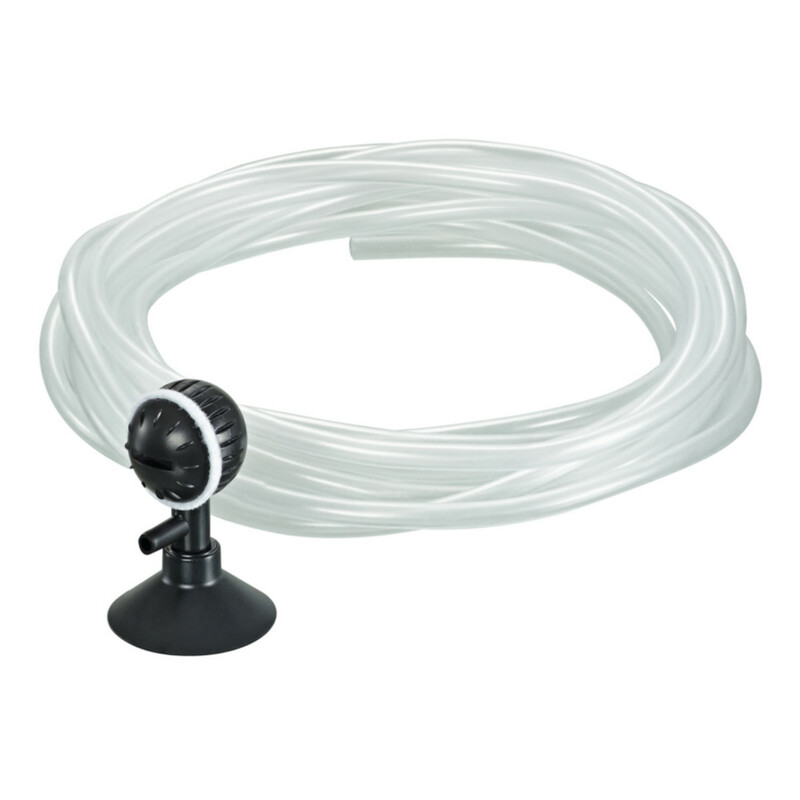 This oxygen is added to the water by way of the airline and air diffusers provided and the output rate can be easily adjusted for the tanks needs. The air diffuser is light and easy to place. The bubbling pattern can be adjusted on the air diffuser to create different soothing effects. 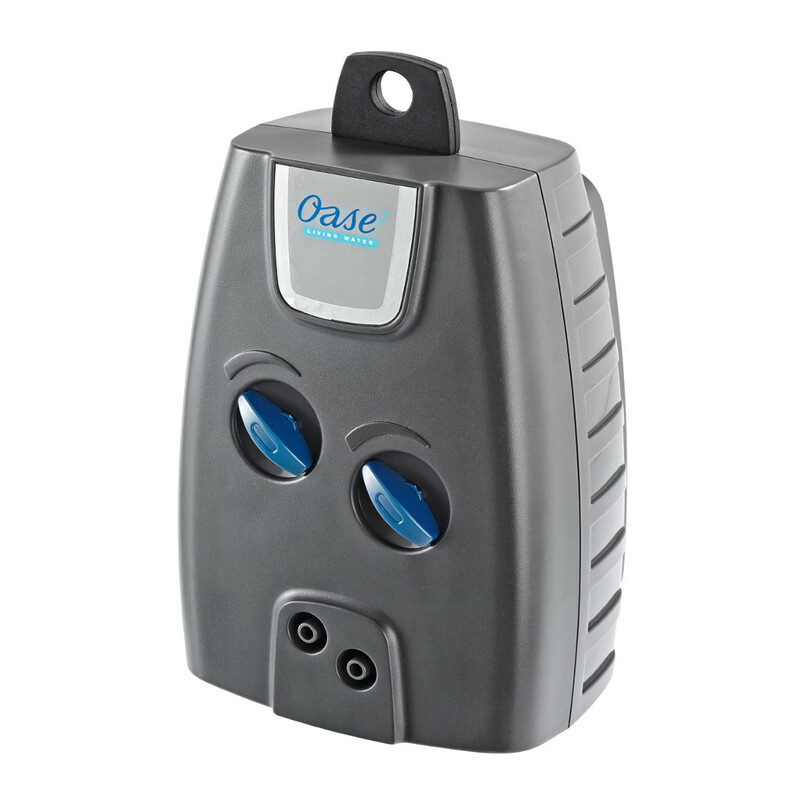 The pump and its airline can also be used with other airstones or air curtains. The Oxy Max air pumps are silent running and is ready for instant set up.